Looking for a free installable Windows alternative? Jide Technology’s Remix OS 2.0 produces an Android-based operating system for desktops and laptops – it’s not yet ready for prime time, but the preview is terrifying – for Microsoft. Many of today’s Linux-based systems, like Android and Ubuntu, suffer from limitations. Ubuntu’s software library isn’t comparable to Windows and Android can’t install onto a computer. Remix creates a bridge between the two systems by combining Android’s titanic app library with a desktop Graphical User Interface. Another major coup: Remix OS runs lightning fast on low-end hardware, making it suitable for netbooks (what’s a netbook? What Is the Difference Between a Netbook, Notebook, Ultrabook, Laptop, and Palmtop? What Is the Difference Between a Netbook, Notebook, Ultrabook, Laptop, and Palmtop? The term "laptop" encompasses so many different types of laptops these days. Here are the important differences between them all. Read More ) and Chromebooks (what’s a Chromebook? What Is A Chromebook? [MakeUseOf Explains] What Is A Chromebook? [MakeUseOf Explains] Everything is moving towards the web, which is now more commonly being dubbed “the cloud”. As such, your devices should probably be ready and well equipped to make full use of cloud services for your... Read More ). After weeks of testing, my conclusion: Remix OS is a remarkable operating system. The combination of Android with a Windows-like GUI creates a surprisingly comfortable, user-friendly operating system. Although still in an early preview, the new OS shows great promise for home PC builders and will soon include a full installer, similar to Ubuntu. In the world of computing, there are two dominant processor architectures: ARM and x86. The ARM architecture in laymen’s terms powers most mobile devices, including tablets and smartphones. The x86 architecture dominates the computing world, such as Windows and Macintosh. Software designed for ARM does not run on Windows and vice-versa. Attempts were made to bridge the two architectures over the years, but most efforts ran into legal problems or were shuttered after running into difficulties, such as AMD’s ambidextrous CPU design. We took measures to quickly rectify the situation as soon as we were made aware of it. In terms of complying with GPL and Apache licenses, we have now published all Remix OS for PC code that is a modification of open-source elements. Readers can find a full comment on XDA. Most Extensible Firmware Interface (what is an EFI? What Is UEFI And How Does It Keep You More Secure? What Is UEFI And How Does It Keep You More Secure? Read More ) systems can switch off EFI in the BIOS/UEFI settings, so the non-EFI images will work on almost any system. If you own an older model of computer or a netbook equipped with an Atom N-series processor, the best option is to choose the 32-bit version (the difference between 32-bit and 64-bit). If you’re installing within a virtual machine, avoid the EFI installation. You may want to use the 32-bit version. 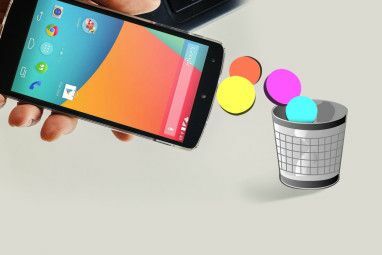 The first method is to burn a live image of Remix OS to a USB flash drive. The third method is to install it to a hard drive. However, this method is unofficial and can damage information residing on the drive. There are methods to dual-boot Remix OS, which I will briefly cover at the end of this article. Remix OS only installs to a USB drive, although with some tinkering users can also install it to a hard drive. Similar to Ubuntu, Remix can run in one of two modes: Resident mode, which allows the user to save their personal data (similar to Persistence mode in Linux) and Guest mode. Guest mode runs a single instance of the OS and doesn’t retain user data. An 8GB or larger USB 3.0 drive. For Guest mode, a USB 2.0 drive works, as well. A computer capable of running UNetbootin. First download a compatible Remix OS image above and unzip the archive. Inside the archive is a Windows executable file — it’s a customized version of UNetbootin, which can create a bootable USB drive How To Install Linux With Ease Using UNetbootin How To Install Linux With Ease Using UNetbootin We've already talked about Linux and why you should try it, but probably the hardest part of getting used to Linux is getting it in the first place. For Windows users, the simplest way is... Read More . The Linux version of UNetbootin works just as well. I do not recommend this option. It possesses the ability to destroy your personal data and can result in an unbootable operating system. After spending several weeks with Remix OS 2.0, my impression is overwhelmingly favorably. While at present it’s an unstable, and unfinished, alpha product, what Jide Technology offers can disrupt the low-end market of the PC industry, similar to what Chromebooks did in 2012. Learning to use Remix won’t require much effort. Remix includes many modern GUI refinements such as resizable windows and split-screen abilities. It also partially solves technical problems associated with Intel’s chips on Android. On top of that, Remix possesses a much shallower hardware footprint than Windows. Altogether, Remix offers a vast software library alongside an almost plug-and-play user experience. Split-screen mode allows better utilization of large screens. For example, dragging any floating window or app to the left snaps it into the left pane. If you write research papers or use a lot of spreadsheets, split-screen mode offers a powerful productivity tool. 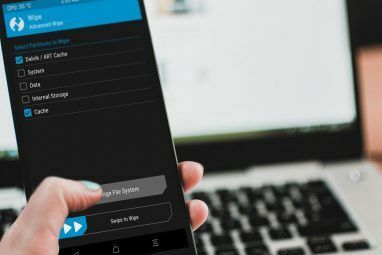 It works just as well on Android as it does on Windows, with the exception that Android offers a larger software library than Windows. Unlike Android, Remix accommodates large amounts of RAM. Unlike Windows, it requires less hard drive space and runs smoothly on as little as 1GB of RAM. Its total footprint on storage hovers around 3GB. This is an ideal solution for older (and even newer) netbooks too slow for modern operating systems. The hardware on my computer is anemic by Windows standards. It uses a dual-core Kabini based APU (what’s an APU? What Is An APU? [Technology Explained] What Is An APU? [Technology Explained] Read More ), clocked at 1.0 GHz. It’s roughly equivalent to an ARM quad-core processor. Even so, Remix runs like melted butter on it. Remix draws on open source drivers to run its hardware. Located within the Settings -> About menu is a list of installed drivers. I found that the driver and software versions used were identical to those loaded by Ubuntu 14.04. For example, Remix loaded the MESA 11.0.9 libraries. Of special note: The Linux kernel version is 4.0, which is more up-to-date than Android 6, which uses 3.18. On the downside, Remix appears to lack Linux’s ability to troubleshoot inoperable hardware. While Jide might add such a feature in the future, there’s no indication of its presence in the preview copy. While Linux and Android run on x86 and ARM processors, there are caveats. For example, Intel x86 processors in Android suffer from an inability to run apps designed for ARM processors. Similarly, ARM processors access a very limited number of programs as evidenced by the much maligned Windows RT (Windows RT can’t run many apps Windows RT - What You Can & Can't Do Windows RT - What You Can & Can't Do Windows RT edition was discreetly launched about a month and a half ago with the flagship Microsoft Surface RT tablet device. Though visually indistinguishable from Windows 8, there are some key differences as to what... Read More ). 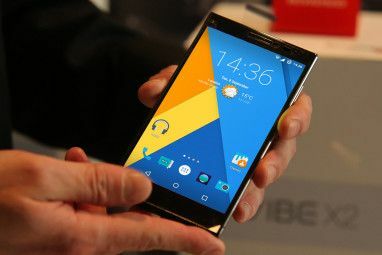 The Android x86 Project came up with a novel solution: It uses a software called an ARM Wrapper. The Android-x86 team has done an amazing job enabling ARM code to run on x86 systems. Given that Remix OS for PC is built on the Android-x86 project, we have the same capability to run ARM code on an x86 system. Although wrappers come with overhead along with compatibility issues, I found the software ran well. Most of the games downloaded through the Humble Indie Bundle (read about other cheap indie games Looking for Great Games at Pauper Prices? Score Some Game Bundles Looking for Great Games at Pauper Prices? Score Some Game Bundles Read More ) were playable, without a hit in performance. Judging from several unimplemented features displayed in the settings menu, it appears that Remix will soon add automatic software updates and configurable audio output. What makes Android insecure is its lack of regular security updates. Remix OS solves this issue by cutting the Gordian Knot: It will provide an automatic software updater. The details of this system remain scant, although we can assume the update system will resemble the over-the-air update system in Android. At present, there’s no way to change the way Remix outputs audio. In Linux, users can switch their audio from an internal 3.5 jack to HDMI. In Android, no feature exists. Remix OS by necessity appears to have included a non-functional placeholder in its audio configuration settings. If implemented, users should be able to switch their audio output. Our vision is three-fold: 1. To empower anyone in the world who stands to benefit from access to modern computing and information. 2. To enable people to revive their old desktop and laptop computers that are sitting around collecting dust with zero use value. 3. To be a major step towards realizing the future of Android PCs and disrupt the status quo in the PC market. While Jide doesn’t take donations, they recommend donating to the open source Android x86 Project. Any improvement in x86 on Android spills over to Remix OS. Those looking to experiment with a consumer-ready version of Remix OS 2.0 should look at Jide Technology’s $70 Remix Mini. 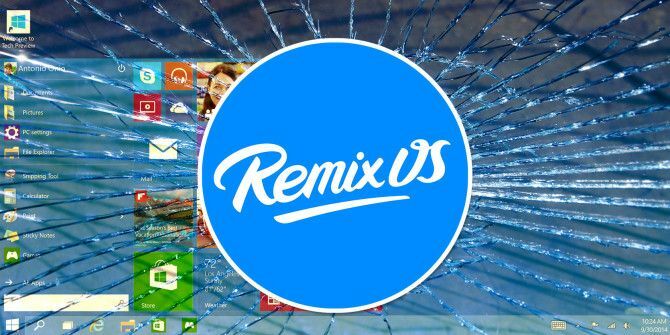 Will you be trying out Remix OS 2.0? Perhaps you already did. Tell us what you think in the comments. 5 Reasons to Upgrade to Ubuntu 19.04 “Disco Dingo”Is Linux Really as Secure as You Think It Is? Window snapping! This appears to be the only website on the internet that refers to this split screen mode, and i dont know how to enable it. Can someone give me some tips on how to enable split screen mode? Remix OS removed this feature in the version that came right after this. I'm sorry! Phoenix OS just added this though. I think 3 gb is too much for an OS. I prefer from 0,2 to 1 GB and I don´t like apps or Android. Doesn't Firefox offer desktop features in its mobile version? Many of its extensions are cross compatible. July 9th: SUCCESS!!! I have single booted remix os to a 250gb hdd. I am writing this from my phone so i will get onto the pc later and give instructions. It was a little complicated but with instruction its pretty much a 3part process. I don't include emails in the comment section because of spambots, unfortunately. :-( Sorry for the inconvenience. I'll give you credit. But it will take a few weeks until I can write this one. I'm on the road right now. Email has been sent. Can't wait to see what you write. Excellent work, by the way. I'll send you an email shortly. Kannon, I wanted to give you a heads up. I have been running some tests and I think I may have been successful in installing Remix OS to my computer with Single Boot. I will get back to you if I get more information and how well it worked. Thanks for letting me know William! Are you using the USB installer method or the more complicated method? SUCCESS!!! I have single booted remix os to a 250gb hdd. I am writing this from my phone so i will get onto the pc later and give instructions. It was a little complicated but with instruction its pretty much a 3part process. Sorry I didn't respond to this message earlier. Something is wrong with my spam filter. Thanks William! I have the Remix OS duel booting on my AMD based PC with windows7 the O/S runns smoothly love the GUI was sad that HDMI was not supported for Audio output though and no way of getting to work hopefully this will be something that gets addressed in future updates. I see there two boxes out there running remix the Jide box and the Uniga box both connect via HDMI and run on Arm based cpu's can you tell me if these can output the audio via HDMI and is there any kind of bootable ROM for Arm based boxes to allow them to be flashed with remix. Great looking OS keep up the good work. It seems that they have not yet enabled selectable audio output, but it's displayed within the Remix OS settings menu. It seems that they plan on releasing it. In my interview with them they mentioned adding this feature in the future. There are no ARM-based installers available, unfortunately. I do not think the x86 version will even install on an ARM-based system. But I have not tried to do this either. I see everyone talking about installing this on USB drives, and even dual booting it to a system. I want to just straight forward have it as the single solo OS on the HDD. It will be the software ran on this machine. Can it be done? Hello William, I'm currently working on an article on how to do this using JUST the Remix OS installer. There's an installer embedded within the bootable image, but unfortunately, it's been broken in every single release. Everything I've tried has failed so far, but it seems clear that eventually Jide will include this in a future version of the OS. Ok thanks. I will check the link out and see what if it works. I certainly hop they do open it up to be the stand alone OS on a machine. I'm not too keen on multi boots. Is there a way to maybe use the Android x86 bootloader to install the package rather than the broken embedded bootloader? I'm not sure how functional the Android x86 Project's bootloader is, considering that Remix OS is based on it. It worked perfectly for me when I installed it in an emulator. It might work. Although there might be proprietary components in Remix that could cause problems. Are you using a USB 3.0 drive along with a USB 3.0 port? If that doesn't work, try using Guest mode instead of Resident mode. There's no fix for this issue. Unfortunately, the audio output can't be selected, although there's a placeholder in Settings where Jide might add selectable audio outputs, similar to what's in Linux. I tried installing this for the hell of it. Got it on an 8GB FAT32 partition with an option to boot into it if need be. Might shift it over to a USB3 stick at some point. It's probably a good option for a media OS but for general use it's too "sticky". That and there's small annoyances like not being able to use the keyboard to unpair a bluetooth mouse if said mouse has been paired it to something else (you have to add a USB mouse to click "settings"). There's also no NTFS support unless you do a bit of tweaking. Otherwise it's generally OK. Some apps cause the fans to spin-up so I'm not sure how good it would be for those looking at a battery-efficient fall-back. I didn't have that issue, although my WiFi/BT card is really well supported within Linux. It's an Intel card. Remix loads the same drivers as Linux, so if the device was buggy in Linux, it's likely buggy in Remix. Thanks for letting me know about NTFS support. Doesn't it require a USB 3.0 port? I tried it on my now-ancient ThinkPad SL400, which has at best USB 2.x, and got stuck in a reboot loop. Phoenix, OTOH, did run, but the screen rotated when I launched Instagram. Dunno if Remix would've done the same. In any case, I had to physically rotate my laptop, which was a strain on my arms. I then ran to CloudReady, which is Chrome OS-base. At least it expects a laptop or desktop and won't rotate the screen :) However, it's Chrome OS-like, so you have to be online, and far as I can tell, you can only install browser plug-ins, although I still haven't explored it to that depth yet. Also a few quirks, such as the browser becoming unresponsive at times, and the inability to use the TrackPad to move the cursor to the extended desktop (plugged an external monitor). Using the TrackPoint worked though. That's a great question. RemixOS doesn't REQUIRE a USB 3.0 port. I've gotten away with a 2.0 port, but using a 3.0 drive. The problem is that a USB 2.0 drive doesn't have enough disk IO to make Remix in persistence mode run smooth. And getting it to load on the first run can take an hour or two. I've heard of some users simply not being able to get USB 2.0 to work. The current version of RemixOS is now the beta. It's much more stable than the original, but the issue is that it forces users to dual boot, which possesses a possibility of messing up your primary operating system. Regarding Instagram, any app that forces landscale or portrait mode could be problematic. I didn't experience any of those issues while using Remix (and I used a lot of apps), so perhaps they've found a workaround? If you do give it a shot, I recommend exercising a lot of caution if you elect to use the dual boot installer.